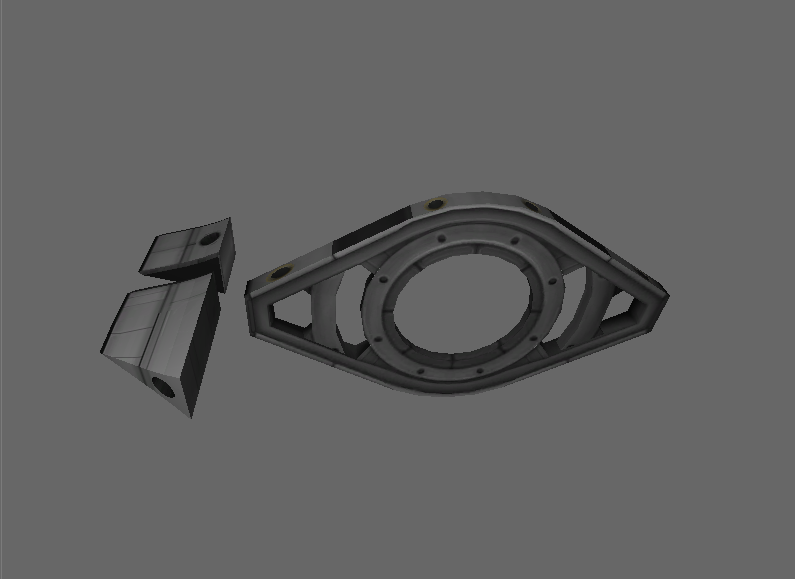 This is a parts pack intended to flesh out the stock mk3 parts lineup with new engines, cockpits, fuselage parts and more, to give players more options when building spaceplanes. 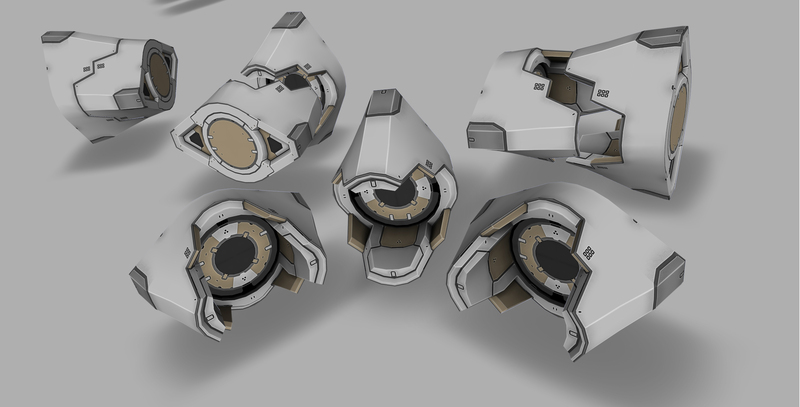 parts almost exclusively use MODEL nodes and stock textures, so RAM footprint should be almost non-existent. -Fixed Service Tank surface attach offset. Feel free to post comments/critiques/feedback, and if any of you have ideas for parts that you simply have to have to flesh out your mk2/mk3 experience, speak up! Ideas for new parts are welcome. 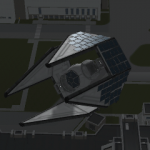 Can you fit a Kerbal between those windows? Without a helmet, just barely. I'm not adverse to enlarging the windows, though. That cockpit is so slick. Love it. You must release it! Tts still being tweaked; I'm not quite happy with it yet. Are these something people would want to see ingame? A note about the fishhead cockpit though- it might be better for the windows to be, instead of on-top, to be about in the middle. That way, although the view would be a bit limited, the cockpit could hold more than a kerbal (and get the helmet in without cracking the glass ). So more 'airliner' and less 'fighter jet'? In the OP, when you say 'nose cap', do you mean something like a normal nose cone? Because it'd be nice to round off the back or Mk2 fuselages with a simple nose cone, but the hypersonic nosecone is a bit much. Yep, the nose cap will be like the normal rounded nose cone, but in mk2 form factor. As for the NTR fins, yeah, those were intended from the beginning to be radiators. 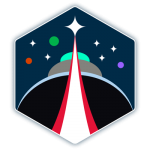 I won't have much time for KSP stuff the next couple days, but I should be able to finalize a few more parts, maybe post an update around Wednesday or so. I dunno, I think you could get away with a lot of teeny nozzles shifting back and forth on the model to crudely shift back and forth. I'm already using the KM_gimbal plugin for the 'Vector' jet engine, so that's not a problem. Could we maybe get a pretty pre-cooler part as well? I know they're not usually useful, but mods like KSPI-E make them pretty much required for supersonic flight. Sure. I'll put it on the list. i had originally considered one, but, like you said, I wasn't sure if they actually did anything in stock. Edit: So, who likes emissives? I do... But won't the hottest spot be in the throat of the engine? That's where the pressure and temperature ought to be highest, and where I'd expect the heat glow to be coming from. Good point. I've already tweaked the emissive some. Tweaking it some more won't be hard. Amazing idea, can't wait to see the final version of that cockpit! Btw, upcoming B9 update will have a part that will play really well with it, allowing attachment to horizontal MK2 assemblies. Instead, I've noticed that the "Two-state aerospace intake" can't change status in the hangar. 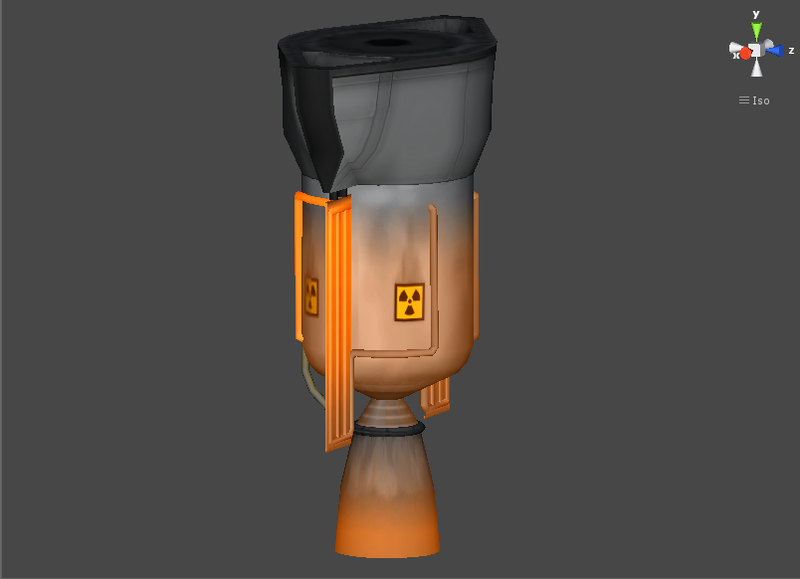 One last thing about the NUKE engine. Why you don't make some kind of aerodynamics protection, removable like fairings or just mobile? I know that is a lot of work, so i'd like to hear the opinions of all of us. I've noticed that the "Two-state aerospace intake" can't change status in the hangar. At a guess, that's because the animation is powered by KineTech rather than ModuleAnimteGeneric - the latter allows editor tweaking, the former does not. Your main pack and these parts look great! I've been getting into spaceplanes a lot since 1.0 came out and I've been looking for a lot of these. Great work! Bac9 those parts look great! Glad to hear B9 is still under development. Hi very nice mod, but have you ever think make a part like a Nose(tail)-DockingPort ? It would be nice for some SSTO. Are you thinking something like the stock shielded docking port, but mk2 and pointier? If so, yeah, I have an idea for that. Added to the To-Do list. Ha, on my concept sketch for the PLUTO there was a fairing shroud I doodled on as an afterthought, and when I was finalizing the model there was a nagging feeling in my mind it needed one. As to adding a shroud to it though, not too hard. At present the Shrouded Engine Mount can serve as a stopgap. That said, I see three ways of proceeding, in order of difficulty. I can 1: Add a longer version of the current Shrouded Engine Mount to stick long thinks like nuke engines in, 2: Add the aeroshroud as an engine fairing, or 3: use plugin technosorcery to add an animated shroud, closed while the engine is off, and transitions to an open state dependent on engine throttle. At present, those three will cover prograde/retrograde thrusting, roll, pitch, yaw, and vertical/horizontal translation, and the fuselage segment has a torque wheel for good measure. I've been debating whether or not to do some more traditional rcs blocks, like a 4-way or 5 way-block in an aero housing. Thoughts? I'd say do it, RCS balancing benefits from a wide array of parts to fit individual craft needs. I think a 5-way aerodynamic block designed to sit on the flat side slope of the MK2 fuselage would be fantastic. Pls to make streamlined RCS blocks, would be much appreciated with FAR.